Tamara Podemski is an actor/singer/songwriter born and raised in Toronto. For the past 15 years she has worked professionally in film, television, stage, and in the recording studio. She is a graduate of the Claude Watson School for Performing Arts where she studied theatre, dance, and music. 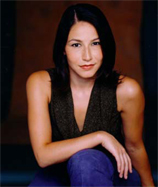 As an actor, Tamara has starred in Dance Me Outside, Ready or Not, The Rez, North of 60, Exhibit A, Johnny Greyeyes, and the Broadway musical Rent. As a singer/songwriter, Tamara has released two albums in the Ojibway language, Spirit Nation and Spirit Voices, and also founded the music distribution company Mukwa Music. She is currently recording her third album, the first in English, which will be released in April 2004. Tamara danced in Santee Smith’s KAHA:WI, with a run at both Premiere Dance Theatre in Toronto and the National Arts Centre in Ottawa. Away from the world of performing, Tamara divides her time between studying in her fourth year at the University of Toronto and teaching singing and dancing at the Centre for Indigenous Theatre. David Ruben Piqtoukun is Inuit from Paulatuk, NWT. He was introduced to stone carving by his brother, Abraham Anghik, in 1972 and continued his training at the New World Jade company in Vancouver. Since 1974, his work has been represented in seven solo exhibitions and nearly forty group exhibitions across Canada and around the world, including Germany, Italy, and Russia. David’s sculptures often depict the wisdom and rituals of the Inuit. The themes in his work reflect the artist’s disparate Inuit identity: rural /urban, individual/communal. Cross-cultural communication is a major goal of his work. He’s given workshops on sculpture in the Ivory Coast, Mexico, and the Dominican Republic. Stone, metal, and bronze are the main media for his sculptures, which are found in collections and museums from Greenland to China. His work has been featured in dozens of magazines, journals, and books and he is asked to speak at conferences and symposiums around the world. He is currently working on an exhibition of his work that will travel internationally. Rosalie Favell is a Metis photographer and print artist originally from Winnipeg. Rosalie received her M.F.A. from the University of New Mexico, Albuquerque and her Bachelor of Applied Arts in Photographic Arts from the Ryerson Polytechnic Institute in Toronto. She has an extensive record of exhibitions, critical reviews, and awards dating from 1985. She has held many solo exhibitions since 1993 at galleries across Canada including her most recent show at the Winnipeg Art Gallery in the summer of 2003. Her work is also held by more than half a dozen public collections across Canada. Rosalie has participated in group exhibitions in Canada, the United States, Germany, Scotland, and Taiwan and is a recipient of numerous awards from visual arts funding bodies that include the Canada Council, the Manitoba Arts Council, the Ontario Arts Council, the National Aboriginal Achievement Foundation, the City of Winnipeg, and the Canadian Native Arts Foundation. Rosalie is currently teaching photography and visual culture at Algoma University College in Sault Ste. Marie. Kateri Akiwenzie-Damm is an Anishnaabe writer, publisher, and artist from the Chippewas of Nawash First Nation in Ontario. Kateri’s poetry has been published in the collection my heart is a stray bullet as well as in chapbooks, anthologies, journals, and magazines in Canada, U.S., Aotearoa/New Zealand, Australia, and Germany. She has written radio plays and recorded a CD of spoken word poetry with music by indigenous collaborators. 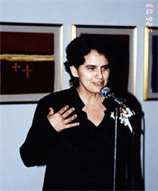 She has edited arts magazines, an anthology of international Indigenous writers, and in 1993, she established Kegedonce Press, an Aboriginal publishing house committed to supporting and promoting indigenous writers across Canada and around the world. 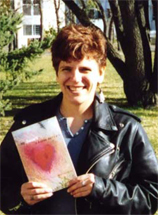 Kateri is the driving force behind Honouring Words: International Indigenous Authors Celebration Tour, and she coordinated the inaugural tour in Canada in October 2002. She is currently working on a collection of short stories, as well as a book of poetry, and working on various multidisciplinary and publishing projects through her two companies, Nishin Productions: Indigenous Performing Arts and Kegedonce Press. Darrell Dennis is an actor/comedian/writer who hails from the Shuswap Nation of British Columbia. He is best known for his roles in such television series as Northwood and The Rez, and as the slap-happy host of APTN’s Bingo and a Movie. 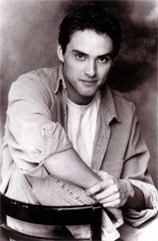 He has also starred in many plays, including Drew Hayden Taylor’s Only Drunks and Children Tell the Truth, Toronto at Dreamer’s Rock, and ALTERnatives. After two years with the Second City National Touring Company, Darrell co-founded the comedy troupe, Tonto’s Nephews, an all-Aboriginal group of actors specializing in sketch-comedy and improvisation. 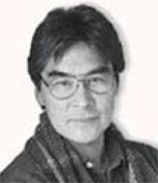 Darrell has had two plays produced by Native Earth Performing Arts (Trickster of Third Avenue East and Tales of an Urban Indian) and also wrote the short film Moccasin Flats, which was featured at the Sundance Film festival, the Toronto International film Festival, and the ImagineNATIVE Film Festival. He recently completed a tour of his one-man show, Tales, and has returned to his regular life, studying at the University of Toronto, where he is on full scholarship completing a double-major Honours B.A. in Aboriginal Studies and English Literature. During his down time, he can be found writing the newest episodes for the second season of Moccasin Flats, which will air on APTN and Showcase Television this year.